First Things First acknowledges the rich cultural diversity of Arizona’s twenty-two federally recognized tribes and recognizes that Indian tribes must have a strong voice in shaping the policies and programming that affect their communities. 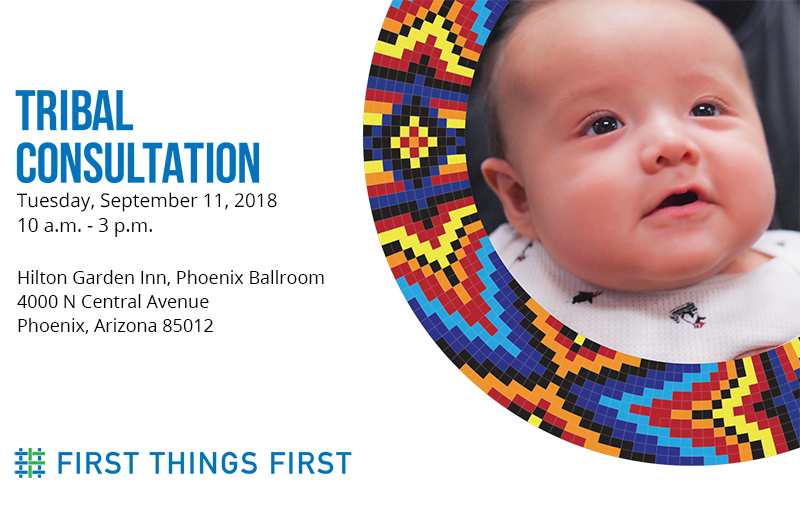 First Things First believes that improving communication and partnerships with Indian tribes of Arizona is essential to providing all of Arizona’s children a solid start so they can grow up ready to succeed in school and life. To that end, First Things First is committed to operating within a government-to-government relationship with federally recognized Indian Tribes of Arizona. In order to achieve this goal, it is essential that First Things First and Arizona tribes engage in open, continuous and meaningful consultation on a government-to-government basis.